There are two Farmers markets in my hometown; one is on Tuesdays, the big one is on Fridays. We got these cornelian cherries from the Tuesday market so that my mom could make my favorite marmalade. 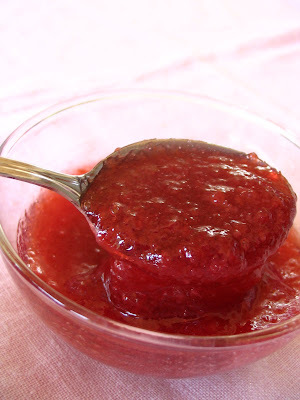 My mom's cornalian cherry marmalade is the best I know, so here's the recipe--and this one is really Turkish. 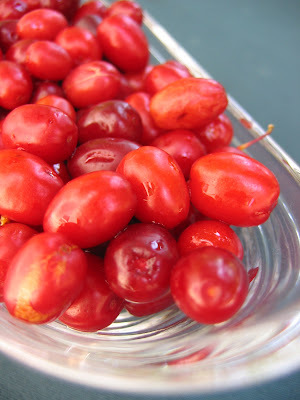 -Wash cornelian cherries and boil them in a big pot with 2 cups of water for 15-20 minutes or until they are soft. -Once they cool down, smash them in a colander in small patches. 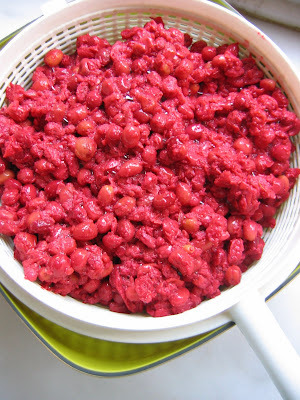 You’ll have cornelian cherry puree in the end. -Mix 8 cups of white sugar and the puree in a big pot, and cook on medium heat. Once it starts boiling, check the time; cornelian cherry marmalade will be ready in 6 to 7 minutes. Do not let it boil more than 7 minutes. -When it starts boiling, there will be pink foam on top. Remove the foam with a spoon. I don't think I have ever seen this kind of fruit. I am not sure we use it in Italy: very interesting. Kizilcik meyvasi nerden cikar? Siz nerelisiniz? Kizilcik yogunlukla Karadeniz'de bulunsa da Turkiye'nin hemen hemen her yerinde bulunur. Bazi yerlerde 'kiren' olarak da bilinir. Ben Trakyaliyim. 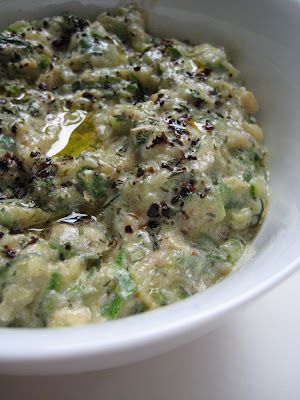 In Blacksea region it iscalled Kiren as Burcu told, in Mediterrenian regin it is called Ergen. In Greece we call it "Krana" and it is been used here since antiquity. In Albania we call them "Thana" before the greeks! I leave in Melbourne. Where can I purchase the berries here? We have a tree here in New England, and the berries do make a great jelly. I have a wild cornelian tree (cornus alba), in Italian "corniolo selvatico", in my garden here in central Italy. At the moment (beginning September) it is full of almost ripe berries. They yield a marvellous, rather tart jam, great for breakfast on toast or in puff pastry overs, as well as to accompany ripe cheeses like roquefort, pecorino or stilton. Its Cornus Mas. Has a light greenish -yellow flower in early spring. 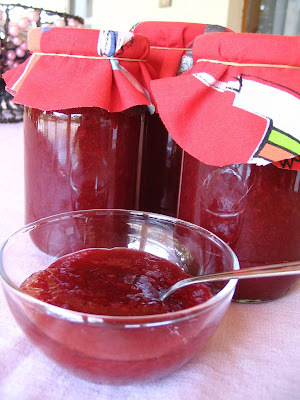 Delicious jam, just made some. Any spice selling store or even a grocery store (baharatci or aktar) would have it. It's called "limon tuzu" in Turkish.